Handling preschool students is not easy. You cannot be strict to them and in the meantime you cannot be lenient with the students. As it is the most crucial point of their life when they would start learning about the new things in life, it is necessary that they should be handled with care. Being the teacher of preschool, one is surrounded with the greatest responsibility. It is required that you should fulfill all your responsibilities well. Being the teacher, you should generously support them in learning and most importantly should make learning a fun for them. As they are not ready to be in a boring environment hence you should try to create a fun loving environment for the toddlers. In this blog, I am going to share some of the most important ways through which you can be a good preschool teacher and could manage the toddlers well. Follow the management tips and certainly, it could be of great help for you and also for the kids who are getting trained by you. Their bright future is in your hands, so make sure you fulfil the responsibility well. Organize Classroom Tactically: In any case, you cannot ignore the structure of your classroom. It is the learning center for them. The more innovative your class room interior would be the more interest it will develop in the students. A preschool classroom can be quite chaotic, so the way you organize is not only important, it can help ensure that effective learning is happening wherever children are stationed. Always try to include good tactics in improving the interior of classroom. Create an Attention-Grabber: Now, this is the trick of great importance. It is but obvious that the class will not always be calm and peaceful. As the students may get rowdy at any given point of time, hence you should have a backup plan to control them. Have an attention-grabber in your classroom to handle such a situation. Asking children to copy your sounds or motions can be just the ticket. Make Transition Plans: Don’t expect that the students are going to do one activity throughout the day. They would change their moods from time to time. Being the teacher you should have transition plans for such time. There will be several times throughout the day when children are transitioning from one activity or area of the room to another. Create a Puppet Friend: Now this is innovation. In any point of time, your students should not lose their interest and this will come out from different things of their interest. 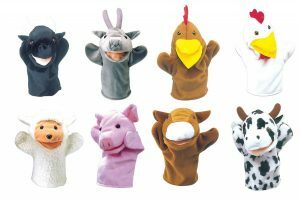 What about keeping a puppet friend for them in the classroom to get their attention throughout? Using a puppet to help teach manners, skills or kindness gives the children another authority to learn from—one that is cute and fuzzy! Use Child Friendly Labels: The classroom of kindergartens should be of their interest. It is a playschool so ensure the things in and around the classroom are also of the interest of the children. Empower your students to pick up after themselves and take responsibility for their own messes. Doing so, the students will always find themselves connected with the surrounding and hence will generate a never-ending interest in learning. Make Them Disciplined: The motto of preschool is learning with fun. Being the teacher you are surrounded with the responsibility to make them a better citizen. You should tell them to stick to their routine of doing the things. This is the only learning place for them, so make sure they get the best from you. Consistency is important for everyone, but especially for children. If your preschoolers know their routine, they begin to have an innate sense of accountability to follow it. Balance Activities: Always remember they are in the softest stage of their life. Learning is important for them but in the meantime, it is required that you should balance the activity of learning. Certain activities will get your students’ adrenaline up and running and other that will help them mellow and calm down. Harvey recommends finding a balance and switching between the two. The manner in which you organize your activities can make all of the difference in keeping your kids under control. Make Engaging Curriculum: Their curriculum is the base of their learning, so being the teacher you should ensure they have the best. If you are running your preschool under a renowned brand or have taken preschool franchise from a reputed brand then you would definitely get a learning friendly curriculum for the students. Manage Crisis Creatively: This is a place where you are supposed to show your great intelligence. There will be times when a student will need to take a break and calm down. This doesn’t mean you have to send them in the corner to sit on a chair and sulk. Try something creative that also encourages them to wind down. Enjoy Your Job: Now this is the most important thing that you should understand as a preschool teacher. Love your job then only you would give your best in the same. Kids are naturally intuitive and tend to follow the lead of those they’re around. If they see you enjoying the teaching process, think of how much more likely they are to enjoy the learning process. Definitely you are blessed with one of the finest responsibilities in your life. Being the teacher, you should always encourage your students. It is important that you create a learning friendly environment for them. You are definitely surrounded with the greatest responsibility but don’t forget you are the greatest artist to shape the children future. It is important to keep each and every important consideration in mind while planning or managing the preschool. Be as much creative as you can because in this way you can grab a lot more attention from the students. They may get bore at certain point of time but it depends on you how you are going to manage the crisis of the time. I hope you must have liked my ideas. Kindly share your valuable comments. All the best for your endeavours!! !